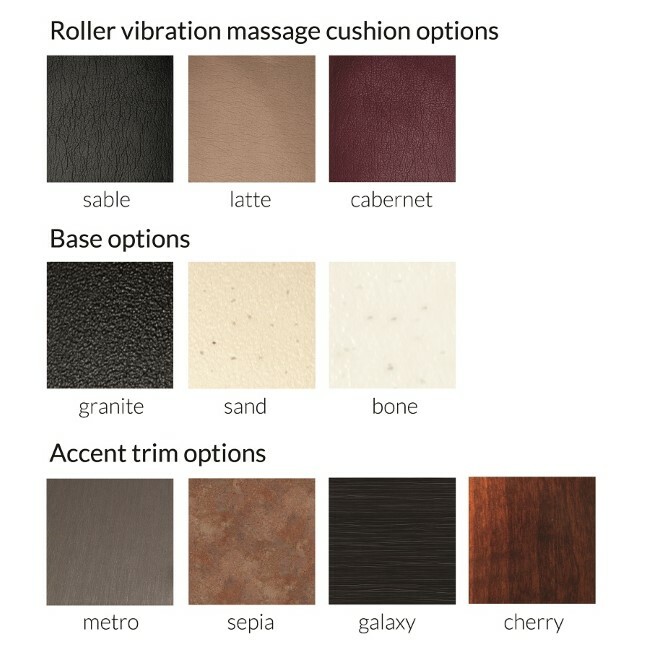 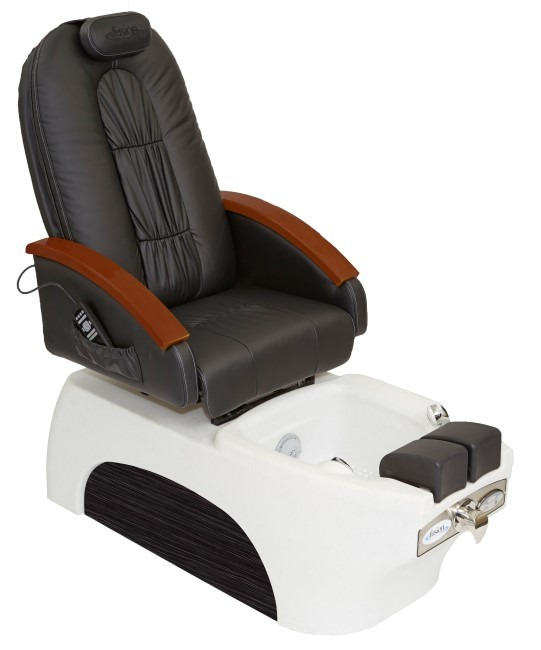 The Fusion Spas Luna Pedicure Chair features a roller and vibration massage with adjustable neck pillow and distinct upholstery stitching to provide your customer the ultimate comfortable experience. 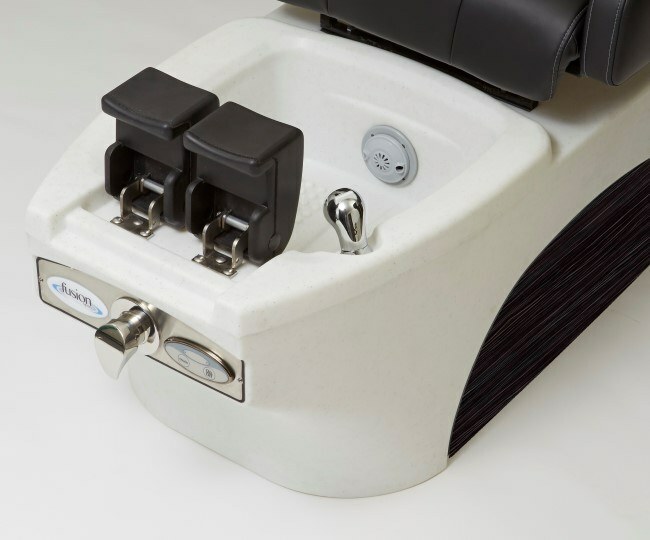 The Purely Simple Pipeless Jet system makes sanitizing between clients a breeze and the durable spa tub is scratch, water, and chemical resistant with removable accent panels. 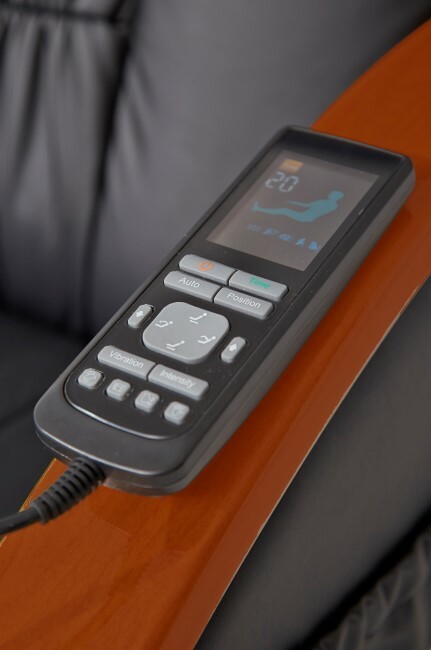 It also stands out from the rest with its industry leading 2 year warranty. 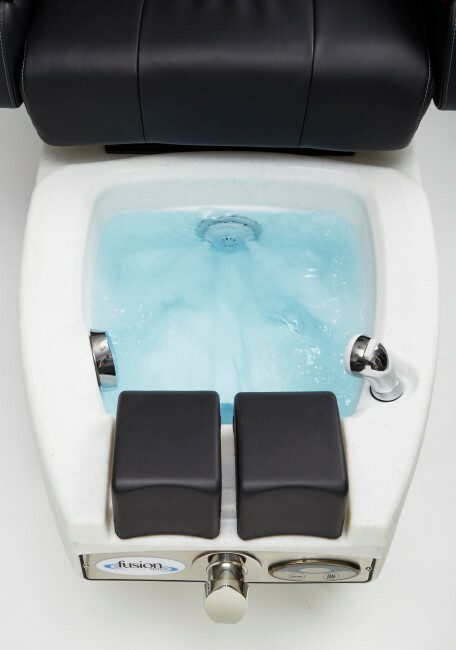 Capacity of Tub: 5.5 US Gallon.